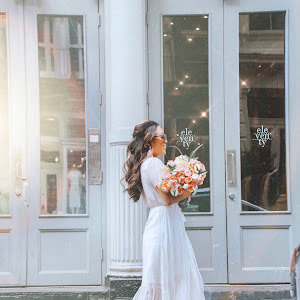 If you've been following me on my blog, you probably know that I'm a sucker for Instagram-mable spots when traveling. Last year, I did a Dallas wall crawl -- basically hitting the most "insta-worthy" walls in Deep Ellum -- (here). 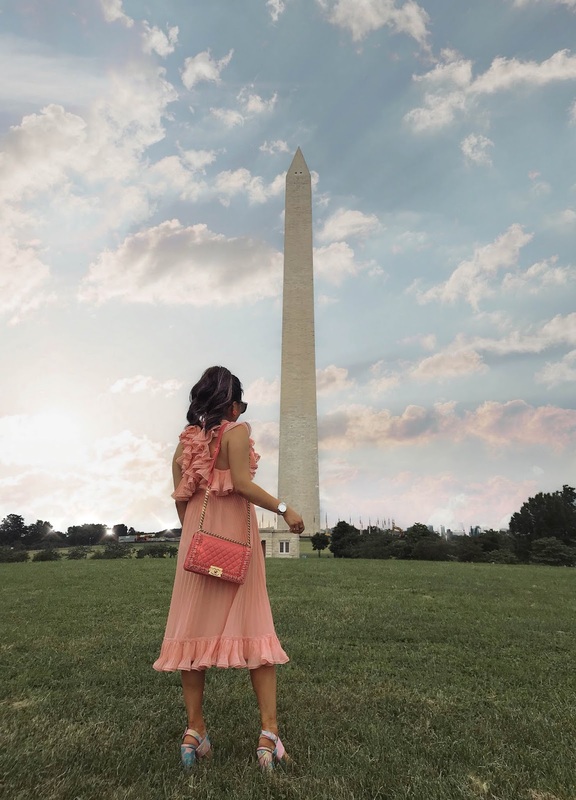 And even though this isn't another wall crawl post, I wanted to round-up some "insta-worthy" spots in Downtown D.C. for those planning to visit the area this summer. 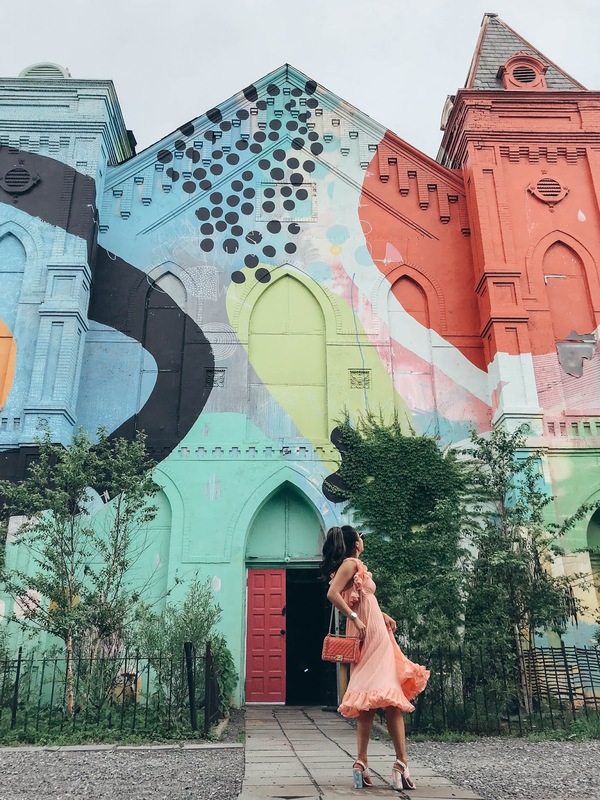 The Blind Whino Arts Club is a community built art space that has a small art gallery inside with graffiti walls, certain exhibitions for the month, a room with a pink-painted LYFT piano, and more. Just a heads up: it's in an area that most people wouldn't normally venture to... and the hours are sometimes tricky on the weekends, so be sure to keep an eye out for the times. 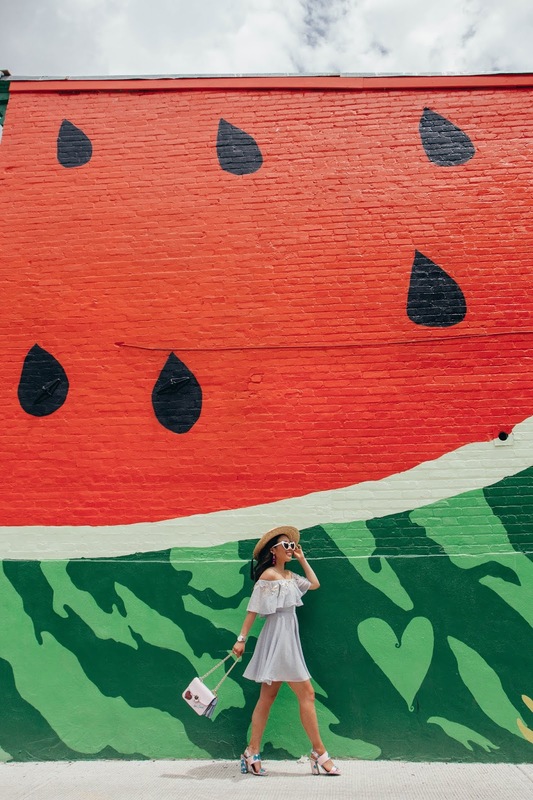 The perfect summer wall in D.C. Say hello to the Watermelon House where you can come up with a melon of puns for your Instagram caption. 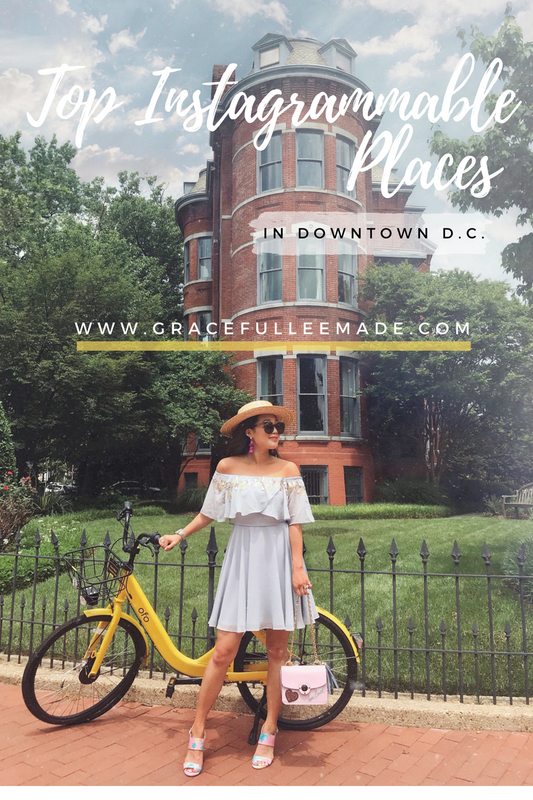 Logan Circle was conveniently near our hotel, so we decided to walk around the area a bit. 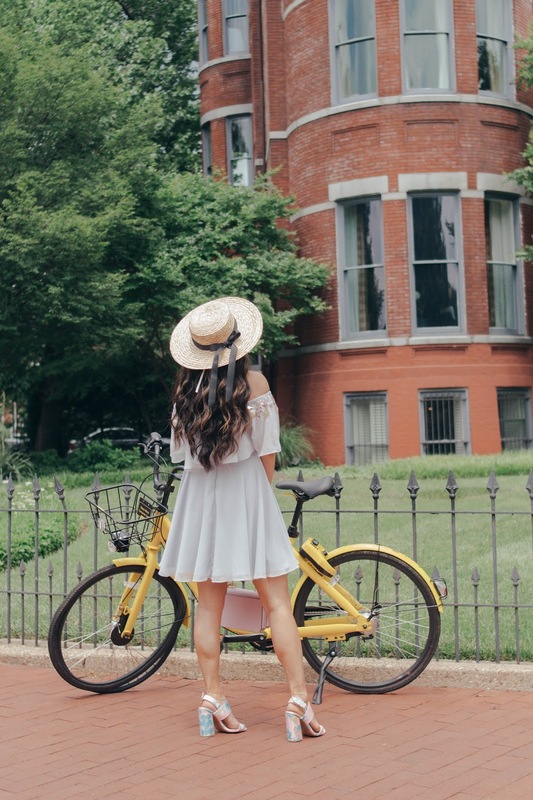 This part of our trip wasn't even planned, but I loved the beautiful houses and buildings around Logan Circle. This is actually a really cool innovative art space that showcases technology in the form of lights and lasers. We went to the Naked Eyes Exhibit that runs until June 30. I wanted to add it to the list because it's definitely a place worth visiting. P.S. You can capture cool Boomerangs inside the exhibit aka Instagram-worthy shots. I passed by CityCenter once during my trip down to D.C., but wasn't able to capture any shots there. 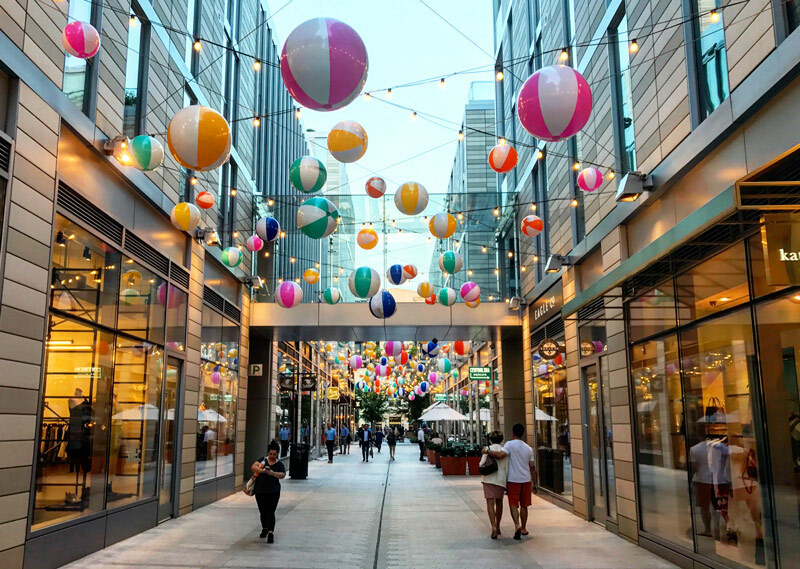 There's beautiful lights that hang over the walkway that change seasonally, cool statues, and lots of high-end shopping and restaurants in the area. 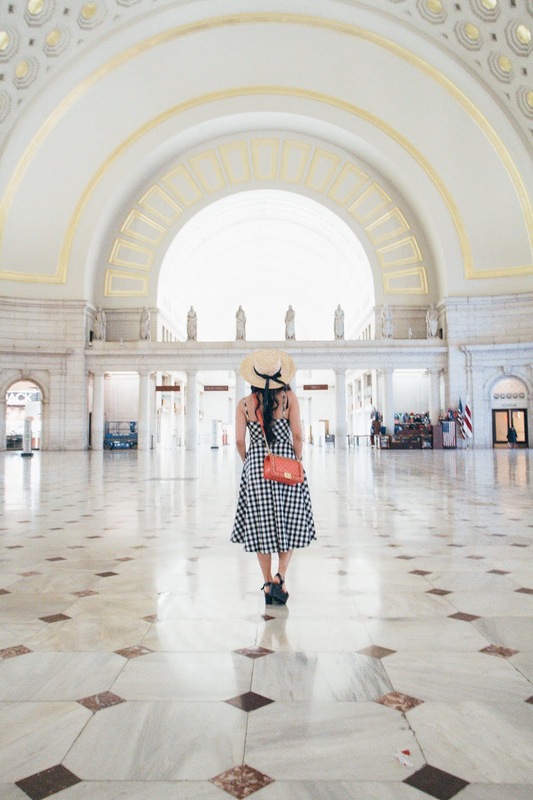 Yes, the train station in D.C. 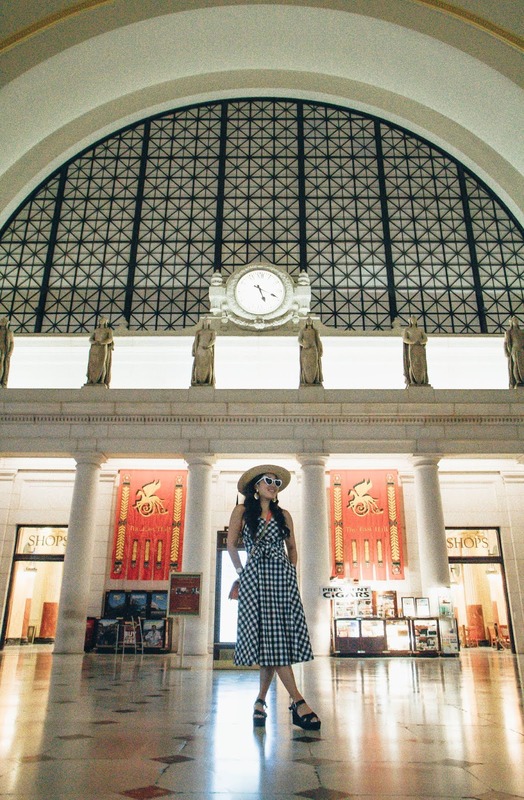 Even though it's usually crowded with tourists and people traveling via Amtrak, the train station itself is quite beautiful and picturesque for photos. 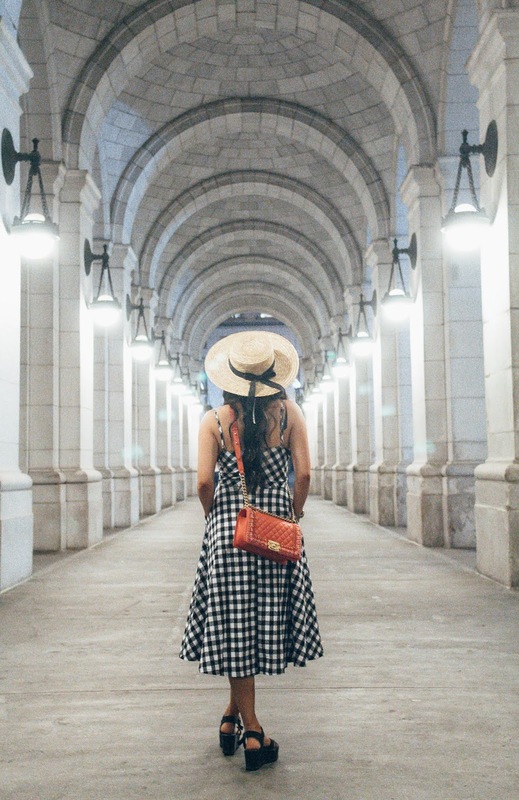 What are some of your favorite spots in D.C.? Feel free to share in the comments below. I'm always looking for new places to visit!